Situated in at the heart of the the Trossachs in central Scotland, Loch Venachar SC is undoubtedly one of Scotland's finest sailing clubs and only an hour away from Edinburgh and Glasgow – less from Perth, it is located in some of the most beautiful scenery in Scotland and boasts superb facilities. As a real family club, our philosophy is to make sailing available to all. Our racing credentials are well established and LVSC is a highly sought after venue on the Traveller circuit with an excellent reputation for race management and organisation. And for those new to sailing – LVSC has been an RYA Training Centre since 1995 and offers a wide range of RYA dinghy and powerboat courses. We now also have the benefit of RYA Championship Club status supported by fully qualified RYA race coaches. Sailing is open to anyone, no matter what age or ability. You don't need to be able-bodied, or even a strong swimmer. 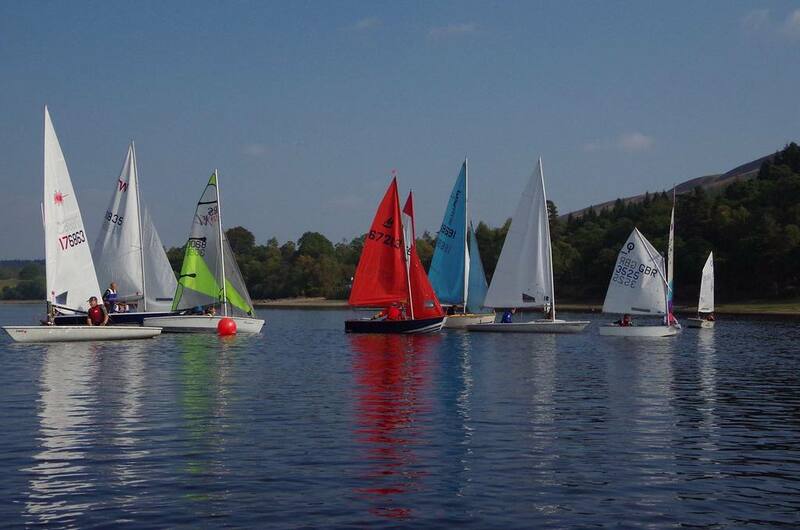 Our sailability section seeks to raise awareness in the disability community of the tremendous benefits that sailing can provide and aims to help people with a disability get on the water at Loch Venachar. We also use the IOCA class association Optimist, the children's sailing dinghy, to support the ELVs (Early Loch Venachar) sailors) sessions on Wednesday evenings in the summer months to provide a more informal and practical introduction to sailing. Older children form the Ospreys group and aim to move on to the Topper dinghy. It's difficult to provide an age-based guidelines for these groups: with attitude and water-confidence the main attributes needed to enjoy dinghy sailing, some are ready to start as young as five, others never are!